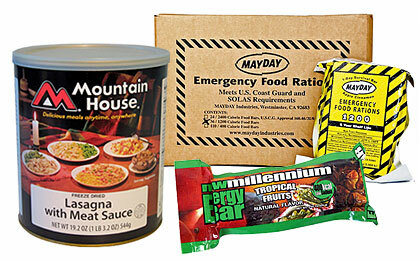 Long Term Food Food & Water Supplies to Prepare for any Emergency or Disaster. Prepare for any emergency with affordable and nutritious foods from some of the best known and well respected suppliers in the world. Freeze dried meals & bulk foods from Mountain House, and Mayday ensure a long term food supply for you and your family, while our emergency food bars give you quick and compact nutrition for your emergency kits or bug out bags.